When using as a rinse or dip. 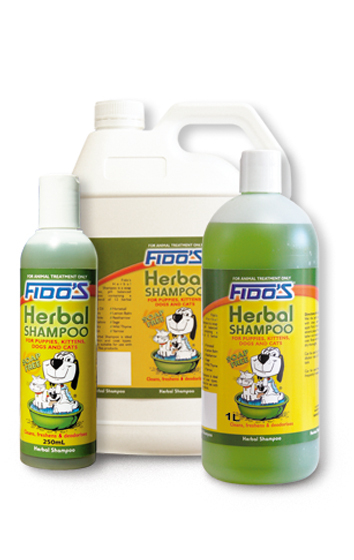 Dilute the Fido’s Rinse Concentrate as per the instructions on the label being 10mL in 1L of water, being a 1:100 dilution.. This can be done in the bottom of a tub or bath. Place the dog or cat in the bath and wet a washer or cloth with the diluted solution. 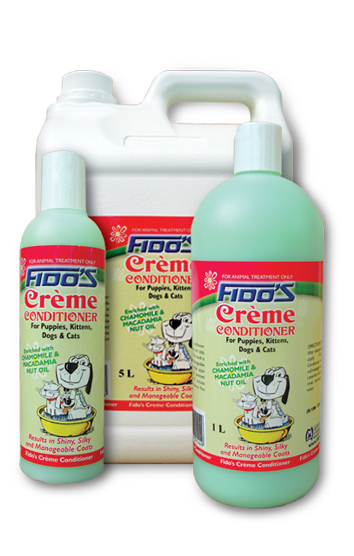 Apply the diluted Fido’s Rinse Concentrate to the pets coat and make sure that it penetrates through the upper layer of the coat to the skin. Make sure that the pets coat is thoroughly wet with the product but you don’t get any solution in your pets eyes, ears, or nose. Does not need to be washed off as the residual effect of the rinse works long after application and leaves the coat looking and smelling pleasant for days after. Remove the pet from the bath and towel or blow dry the pet after running a brush over the coat to smooth it down. When using as a Spray. 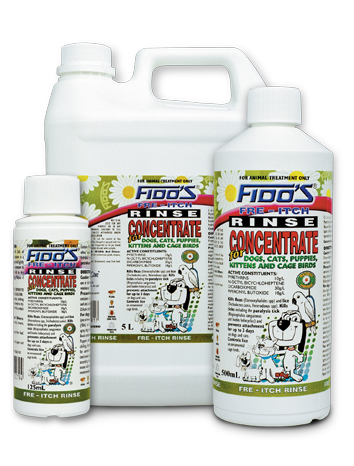 Dilute the Fido’s Rinse Concentrate as per the instructions on the label being 10mL in 1L of water, being a 1:100 dilution.. This can be measured into a spray bottle and then water added. Shake to mix well. Spray pet all over making sure you ruffle the coat so that it penetrates through the upper layer of the coat to the skin. Make sure that you don’t get any solution in your pets eyes, ears, or nose. Towel or blow dry the pet after running a brush over the coat to smooth it down. When using in a Hydrobath. Place the dog in the bath and commence washing with the hydrobath. Make sure that the pets coat is thoroughly wet with the product and you get under the stomach and the hard to get places. Make sure you don’t get this in your pets eyes, ears or nose. Dry the pet off as usual. You can use the leftover solution to wash or spray the pets bedding – please follow manufacturers instructions on washing the bedding. Make sure you dispose of any leftover solution responsibly. 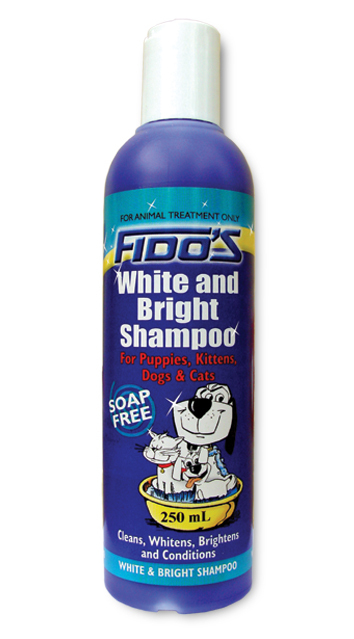 Can be used on its own if the pet is not too dirty, otherwise use any of the Fido’s grooming shampoos first before applying the rinse. The product is safe to use on cats, however we suggest a light spray rather than soaking the pet fully and take particular care to avoid the mouth and eyes. Towel dry well afterwards.